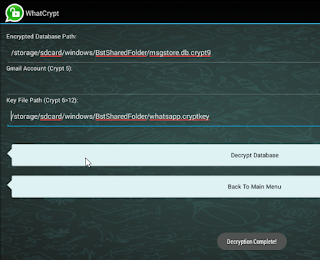 This is a quick tutorial on how to decrypt WhatsApp crypt9 databases. For the following steps, the two tools require no internet connection to work. 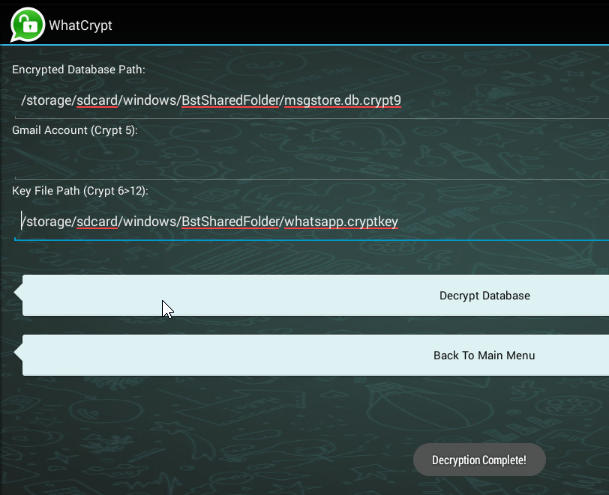 Copy into this folder the WhatsApp key file and your crypt9 databases. Rename the key file to whatsapp.cryptkey otherwise WhatCrypt won't be able to detect it. Done! A SQLite database named msgstore.db will appear in the SharedFolder on your computer.